Ensure high-quality customer service, resolve customer disputes, achieve regulatory PCI DSS compliance and increase security and workplace productivity. Want to Enhance Security and the Customer Experience? 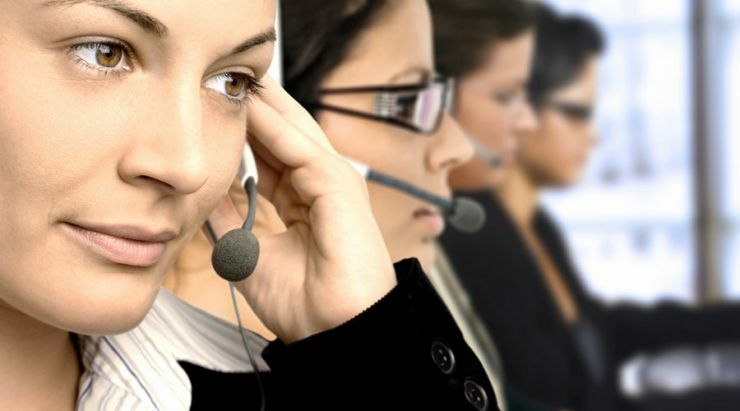 Do you want your contact centre to deliver high-quality customer service and resolve customer disputes more easily? Do you want to ensure you meet FCA and PCI DSS compliance requirements when you record calls? And would you like to improve your training processes, call handling and productivity at the same time? A fully-featured call recording solution can open the door to a wealth of business benefits that help to transform the customer experience —while keeping your customer card data secure. Eckoh's leading PCI Call Centre Recording solution can help you to achieve a wide range of goals in every phone-based area of your organisation — boosting quality, service and security. What's more, our solution is fast to deploy, scales easily and is available on a pay-as-you-go basis with no hidden costs. Why Choose Eckoh PCI DSS Call Recording? Our proven solution works alongside the call recording system to block the recording of sensitive data whilst still recording a call. PCI DSS peace of mind guaranteed! Our solution is telecoms-neutral and will work with any telephone switch. Installing it will not interrupt your business — we'll do it remotely. And software updates included in your rental agreement. It’s scalable to fit the changing needs of your enterprise, from one to thousands of seats. Gives you total flexibility to decide how many calls, teams and agents to record. Set your own call evaluation criteria, playback calls anywhere, anytime and focus your training on the areas which need it. With efficient, easy-to-use search tools, you can retrieve calls fast, so your agents can get on with the job in hand. It sifts through large volumes of data so pinpointing specific calls is easy. Allowing you to immediately manage issues and provide great customer service. Our solution comes with no extra hardware requirements and our rental model has a low total cost of ownership. Just pay as you go. Flex the number of recording licences to match the needs of your organisation. Don't pay for excess capacity. Flexibility to change numbers of licenses rented in response to changing needs like seasonal campaigns. No hidden costs — as support and maintenance (including all software upgrades) are included in the price. No overspend. Don't pay for additional capacity before you need it - just increase your licenses as required to cover the recording of additional extensions. The more telephone extensions you record, the lower the per-license software price becomes. And the longer you commit to renting, the lower the monthly price too. We can also offer tailored pricing plans. CallGuard enables agents to take card payments over the phone without seeing, hearing or speaking card data. It allows prevents card data from being stored on your call recording systems. Our call measurement module is perfect for staff training and assessment. Agents can self-assess and set their own call evaluation criteria, helping to focus training activities. Allows calls to be tagged with relevant information for quick and easy retrieval. Call tagging is an excellent way to mine business intelligence from your recorded calls.